NITTO | Big Brand Tire & Service has a large selection of tires at affordable prices. Founded in 1949, Nitto Tires has been driven by innovation and passion to create tires for drivers who are enthusiastic about their vehicles, whether they drive street trucks, off-road, luxury, SUV, drag racing or domestic. 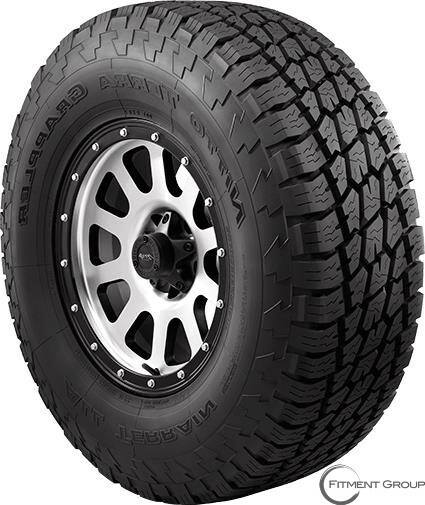 By incorporating computer-modeled designs they have been able to decrease noise while still offering some of the best high-performance radial tires on the market. They strive to outperform competitors with their drag racing radial tires by engineering tires that provide increased control and handling in high-speed conditions while maintaining long tread life. For high-performance in both wet and dry conditions try the Terra Grappler, perfect for all seasons and all terrains. Another great pick is the Trail Grappler M/T, a perfect blend of on and off-road performance to create an aggressive off-road tire that reduces noise. With a 3-ply sidewall and thick rubber it is incredibly puncture resistant.